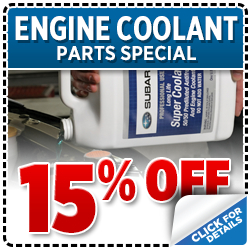 Saving as much money as possible is always the goal and, when you shop for parts and accessories with us here at Gold Rush Subaru, we'll do our best to ensure you get a great deal on the things you need! To do so, we encourage all drivers from the Auburn, Roseville, Sacramento, and Nevada City areas to take a look through our current lineup of Parts Specials and explore the savings we have on display. No matter which of our many new Subaru models you choose to cruise in, we'll have a deal to keep your wallet grinning while you get just what you need. 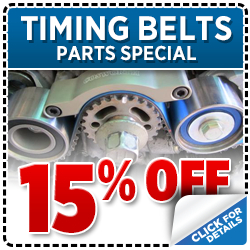 Take your time exploring our selection of parts specials and find something that offers the discounts and savings you know you deserve. 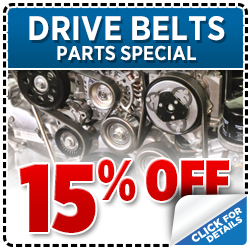 Whether it's a deal on engine oil or other fluids, timing belts, drive belts, tires, brake pads, air filters, engine parts, or just about anything else, there's the potential for you to find it at a low price right on this page. If you don't see anything you need right now, check back later as our list is always updating; if you do find the special that applies to your needs, come out to see us here at Gold Rush Subaru today and we'll be at your side with auto assistance right away.